The Hygeia Two-Hand Manual pump was designed to be a portable option for busy moms while retaining the comfort of the brand’s hospital-grade pumps. The two-hand pump features a vacuum regulator with strength controls so you can customize pumping to match your needs. An automatic release at the end of each pump provides comfort. 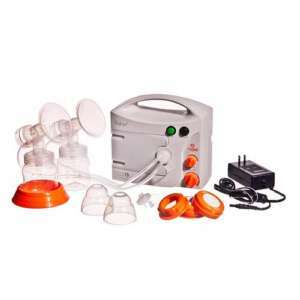 This pump is compatible with the Hygeia EnDeare breast pump, as well. Lightweight at only 1 lb. 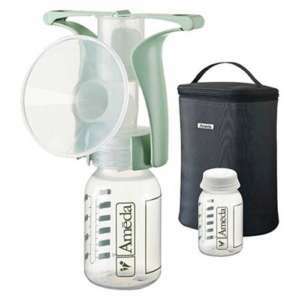 Moms on-the-go — This is a perfect option for moms who plan to be out and about and will need to pump. 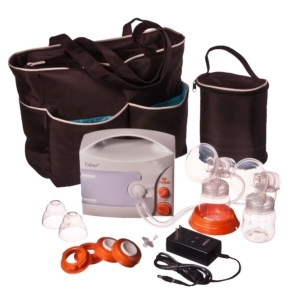 The breast pump is lightweight and is easily stored in a briefcase or carrying bag. 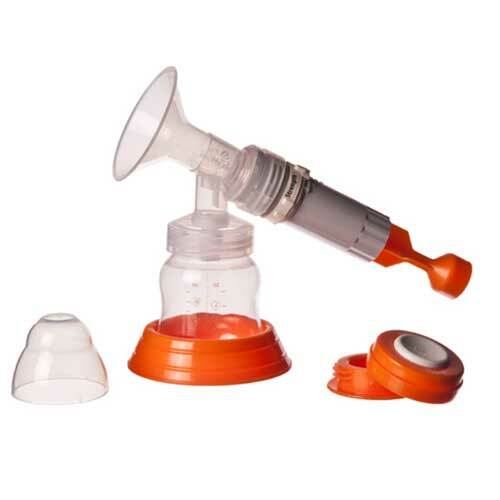 What to Look Out For Manual pumps are popular among busy moms who need a portable option. If you are pumping frequently during the day, a manual pump can be taxing. This style of pump is best for occasional pumping or as a supplement for an electric pump.